COMS was established in 1921; from the 1930s the company was controlled by British Electric Traction. On becoming a subsidiary of the National Bus Company in 1969, moves towards greater integration of city and country services began. In 1971 the Oxford to London coach operator South Midland (established as South Midland Transport & Touring Company Ltd in 1921), which had been controlled by the neighbouring Thames Valley Traction company, was transferred to City of Oxford and the fleet name for the entire operation became Oxford South Midland. 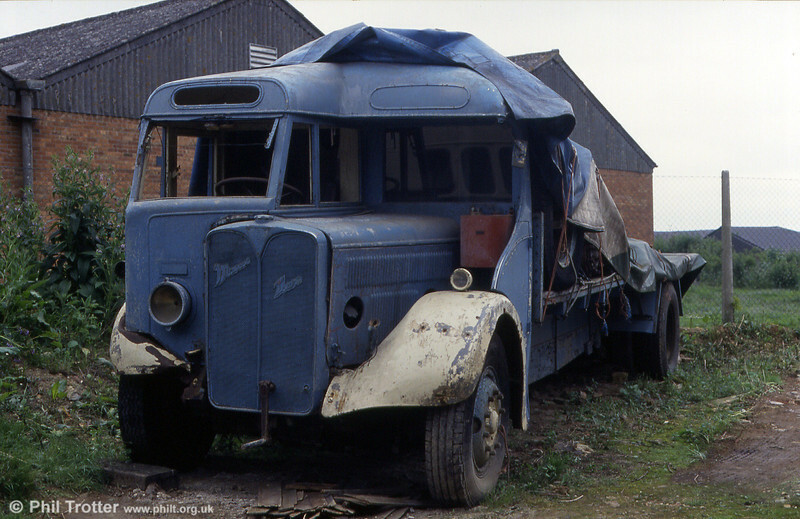 41 (JO 5032) a 1932 AEC Regal 4/Weymann B32F built for City of Oxford in 1932 and later converted to a lorry. Oxford Bus Museum, 16th May 1993.